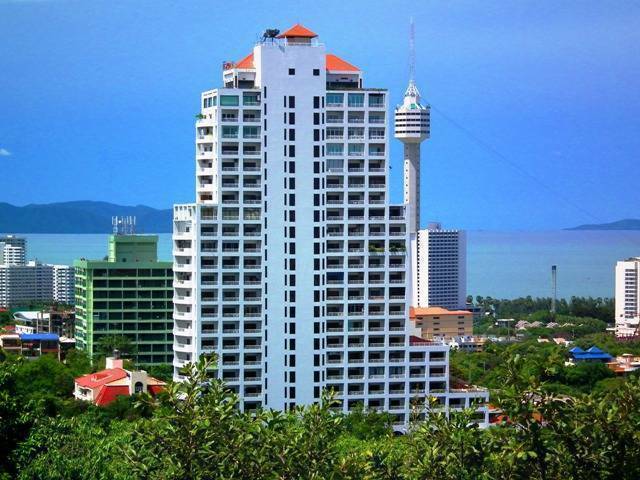 Pattaya Hill Resort is a 23-Storey complex on a serene hilltop setting overlooking both Pattaya Bay and Jomtien Beach. 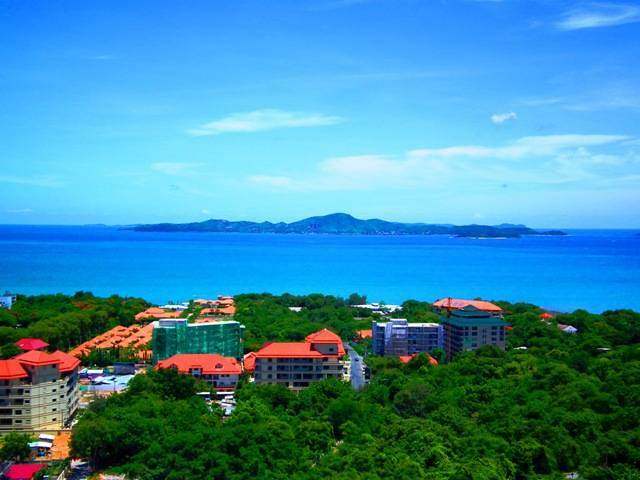 This prime location provides our suites with some of the best views along the entire coastline and easy Baht Bus access to both Pattaya and Jomtien. 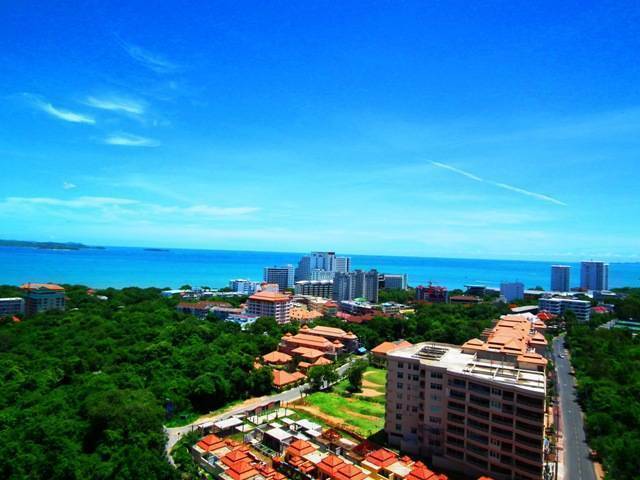 Spacious rooms of different types, including Studious, Suites and Two Bedroom apartments with private balconies will provide the comfort of your holiday in Pattaya. 2 Swimming pools, 2 Restaurants: Le Coffee Shop Restaurant (American, European and Thai Cuisine), Le Saigon Restaurant (23rd floor – European, Vietnamese and Thai Cuisine), Lobby Coffee Shop, lobby lounge, massage, sauna, gym, ping-pong, snooker table, free of charge parking lot, mini-mart shop, tailoring shop, laundry service, safety box, butler service, room service, telephone service with international calls, Wi-Fi internet, motorbikes for rent, free transfer to the beach, taxi service, visa run (Cambodia), transfer to Suvarnabhumi airport, tour service. Standard room Studio with twin/double bed, private balcony, air-conditioner, TV, refrigerator, household appliances (on a request), tableware, and bathroom. Superior room Studio with twin/double bed, sea view balcony, air-conditioner, TV, DVD, refrigerator, mini bar, household appliances, tableware, bathroom. Junior suite Suite with kitchen, household appliances, electric stove, microwave oven, tableware, double bed, sofa or armchairs, private balcony, air-conditioner, TV, DVD, refrigerator, mini bar, bathroom. 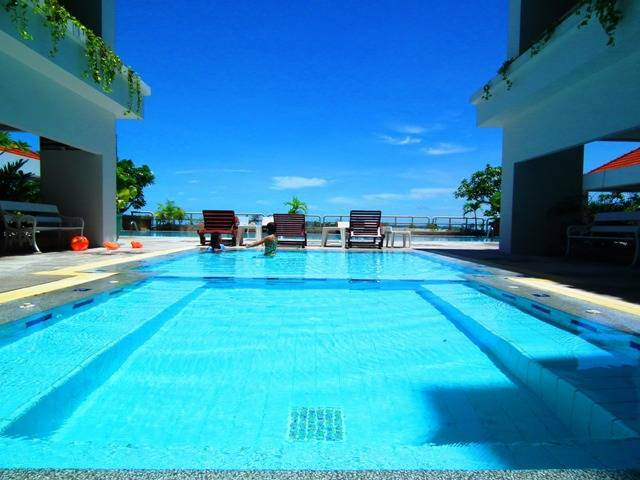 Two Bedroom Apartment Apartment with two bedrooms and a living room, two private balconies, air-conditioners, TV, DVD, refrigerator, mini bar, household appliances, tableware, one/two bathrooms. 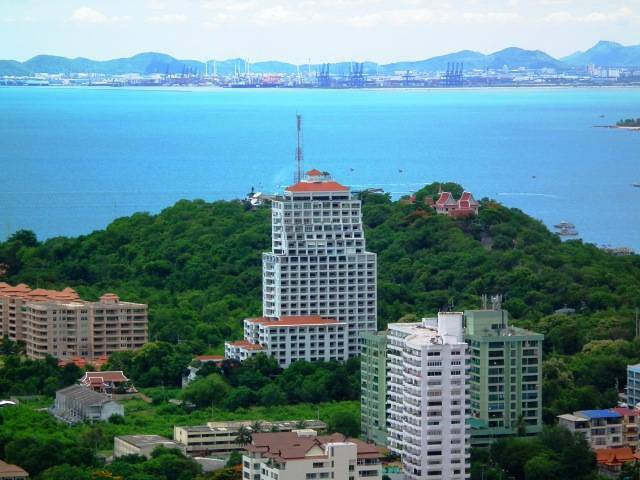 Pattaya Hill Resort has prime location between City Center and Jomtien Beach. 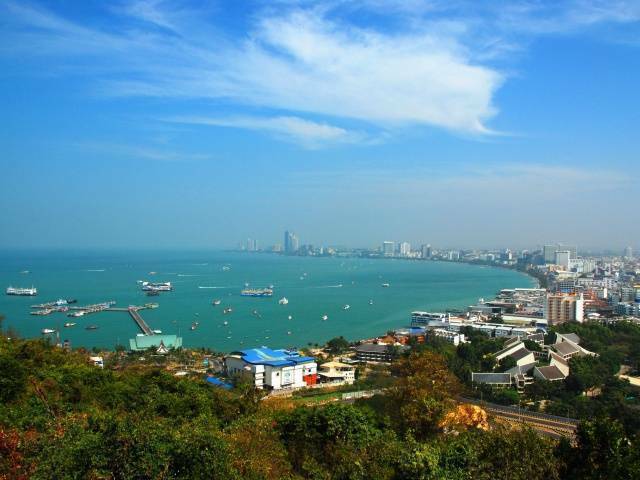 Pattaya Hill Resort is located near Walking Street (15 minutes by walk/5 minutes by Baht Bus), near Bali Hai Pier – daily trips to the islands (15 minutes by walk/5 minutes by Baht Bus), near Pratamnak Park and Big Buddha Temple (5 minutes by walk), near City View Point (10 minutes by walk). - If your reservation is cancelled within 7 day(s) prior to check-in date include early check-out/shortened stay, the cancellation charge is 30% of stay. Minimum Cancellation Charge is 1 night.